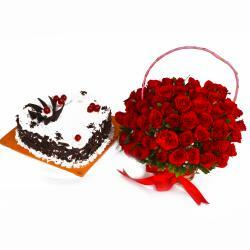 Product Consist : 50 Red Roses Basket arranged with 16 Pcs Ferrero Rocher Chocolates Box. You can present this awesome gift hamper to India on special occasions and create memories that are worth to be cherished forever. Chocolates are the most luscious and made with much love. Go ahead with the hamper here, that comprises of delectable 16 pcs Ferrero Rocher Chocolate Box clubbed with Red Roses. 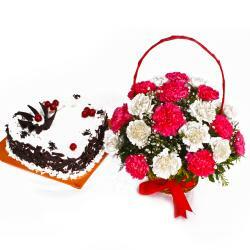 The beautiful 50 Red Roses are handpicked and arranged marvelously in a roundly in basket. So that they make an undying impression on anyone gifted this to. 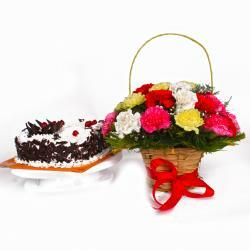 Gift this Fantastic gift on special day like Birthday, Anniversary, Sorry, Onam, Parents Day. Also send this hamper for your loved ones along with other bewildering Gifts to India through Giftacrossindia and make your dear ones feel special. 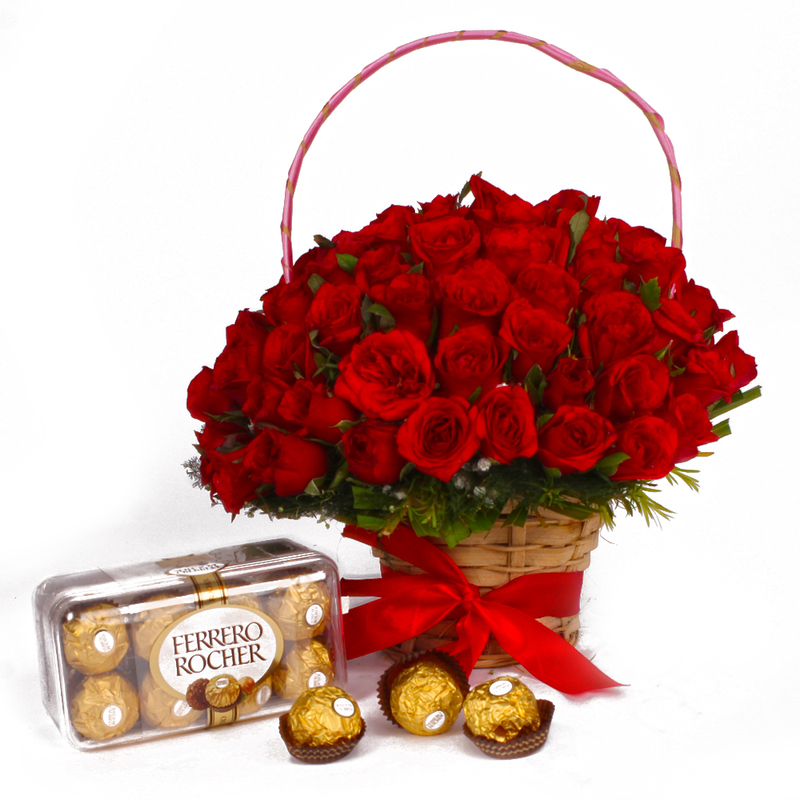 This gift hamper contains : 50 Red Roses Basket arranged with 16 Pcs Ferrero Rocher Chocolates Box.